The FREEP Film Festival is a annual film festival that is thrown by both the Detroit Free Press and Michigan.com that showcases films that a related to Detroit and Southeastern Michigan. After recently moving back to the area from Philadelphia and getting my Free Press subscription, the FREEP film festival was being advertised everywhere. I would flip through the screening titles but that was a busy weekend for me with our largest church fundraiser so I thought it just would not work for me this year. This is one of the many reasons that Challenge Detroit has been so amazing these past 8 months. The Wednesday before the film festival one of my fellow co-hort members announces that she just so happens to have extra tickets to 4 different screenings for the FREEP film festival. I read through the titles and one stood out to me; 12th and Clairmount. During our orientation week this past December there were free 12th and Clairmount screenings happening and some of the cohort had gone to see it. I, for whatever reason, was not able to attend. Fast forward 8 months and FREEP is screening the documentary and it is at 6pm on Sunday April 15th, two hours after the church fundraiser ends. I immediately messaged the fellow with the tickets and reserved two. But the thing was I didn’t know who the second ticket was for. I’ve seen movies alone but this I felt needed to be seen with at least one other person. I let it go and went about the rest of my week. Thursday at work it hit me. 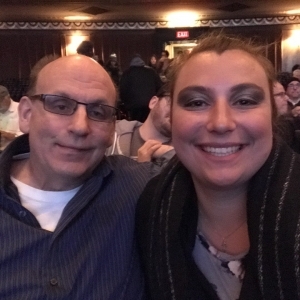 A little voice in my head said, “What about your Dad?” My father was alive during the 1967 uprising in Detroit and since it is the 50 year anniversary he has not been able to stop talking about his experience during the riots. The event is seared into his memory. He was just 11 years old when happened. So after work I asked him if he was free on Sunday evening and he said yes and was so delighted to accompany me to the film. 12th and Clairmount was created from interviews, illustrations, news clippings, and home video reels from the riots in 1967. The producers did a great job of piecing the story together for the audience. We both walked out of the theater learning something. 50 years is a long time period after something so traumatic happens to a city. I do not think we have fully recovered even 50 years later. In order to make sure history does not repeat itself we have to educate ourselves and our loved ones. 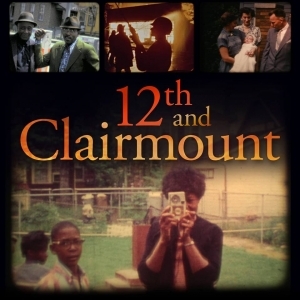 If you have the chance to see a screening of 12th and Clairmount please go and bring a friend or a loved one who was alive during the event and or bring someone who knows very little about the uprising in 1967. Next year, I will try to attend a few screenings and cannot wait to see what they are showing.